Detects the vehicle and pedestrian, and warning by the display and sound if there is a danger of collision. In an emergency, we will work to collision avoidance, mitigation and operating the brake. 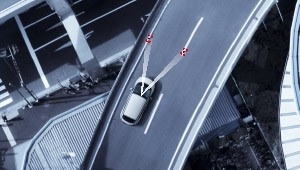 When the vehicle is likely out of the lane, and warned in steering vibration and the display, if there is no work around, you can control the steering so as to return to the lane. Recognized the road labeled with monocular camera. By displaying the multi-information display, and attention to the label, to help the safe driving. Add to cruise control, detects a leading vehicle, a function of acceleration and deceleration automatically keeping the vehicle speed is set to not step on the accelerator pedal. I will properly control the vehicle speed and the vehicle in such highway. Despite there is an obstacle in front, if you depresses the accelerator pedal, it is possible to suppress the rapid acceleration, and calls attention in the display and the accelerator pedal vibration and sound. 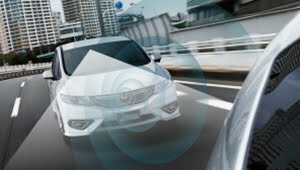 So that the vehicle can travel along the center of the lane, and to assist the steering operation at high-speed road, we will work to drive load reduction. 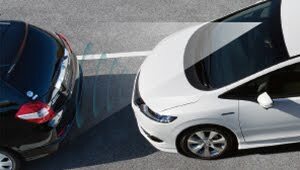 Millimeter-wave radar detects the start of the front of the vehicle when the vehicle is stopped. I will inform the display and sound the start of the front of the vehicle.